While I personally would like Thailand golf to become the biggest golf destination in the world, I doubt that this will ever happen. Here is why. While Thailand was once considered an excellent value-for-money among golfers worldwide, green fees have steadily and substantially increased in the past 5 years. Nowadays it can cost as much as $200 US to play at Thailand’s best courses such as Siam Country Club in Pattaya or Red Mountain in Phuket. Even an average golf course in the Kingdom can cost $100 US around, especially if you consider the cost of compulsory caddie, golf cart, and transportation to/from the course. Secondly, with increasing number of golf visitors, Thai golf courses have become crowded. This is especially true in the peak season. 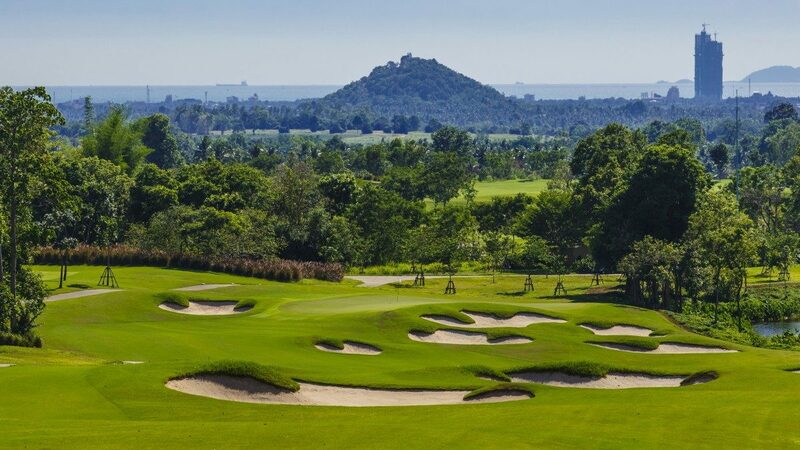 During the months of January and February it is not uncommon to experience 5 plus hour round golfing in Thailand. These are the months where Many Thai golf courses host 200-250 golfers a day, 7 days a week, 30 days a month. Finally, the one area that Thailand has enjoyed a big advantage over other golf destinations is service. Where else do you get a pleasant caddie assigned to you for 4 hours and only pay $20 US ($10 US caddie fee and $10 US tip)? This luxury is still around, but speaking to the golf courses retaining and attracting good caddies is becoming more and more difficult. Not only do golfers themselves sometimes “buy out” caddies, but other less strenuous and higher paying jobs are also tempting work alternatives for Thai caddies. In summary, while golf is Thailand is still an experience to remember for a lifetime, there are clear signs that the sensational growth in golf tourism may slow or worse hit a brick wall soon.